Our current Annual Report: View our results. To view our 2018 IPCo Form 10-K & Annual Performance Summary click here. To view our 2019 IPCo Proxy Statement click here. To view our 2017 Annual Report click here. To view our 2016 Annual Report click here. To view our 2015 Annual Report click here. 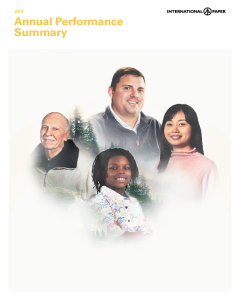 To view the 2014 online Annual Report, click here. To view the 2013 online Annual Report, click here. To view the 2012 online Annual Report, click here.